X-Stream™ Ring-Vac™ Heavy Duty Pneumatic Conveying System is Available in standard and threaded versions for heavy duty applications. These systems are designed for conveying materials over a longer distance both vertically and horizontally. They move 50% more volume while conveying much further. They are made of hard anodized aluminum to prevent premature wear that could occur with either an ordinary anodized aluminum or Stainless Steel Ring-Vac™. Many applications require transport over longer distances than is capable with the standard units. The X-Stream™ Ring-Vac™ Heavy Duty Pneumatic Conveying products have been designed for these rugged and demanding industrial applications. These heavy duty products are available in standard clamp on versions and threaded versions in 1”, 1-1/4”, 1-1/2” and 2” sizes. The threaded units can be threaded into ordinary pipe to make a convenient and powerful system to convey parts, trim, scrap, and other materials. When part wear is a concern, these systems are ideal and low cost. One application that is ideal for the X-Stream™ Ring-Vac™ is conveying abrasive or sharp parts such as chips from a machining center. This improves production by removing the chips as they are created in the machining operation, minimizing downtime for cleanup and conveying the scrap into a nearby bin for recycling or disposal. Because all Ring-Vac™ products are compact and lightweight, they are easy to install and portable. Always make sure the compressed air supply is properly filtered to keep the compressed air clean. Water removal filters with automatic drain will keep out moisture. Oil removal filters with automatic drains should be used if there is oil in the air lines. A regulator installed upstream from the unit will control the pressure into the X-Stream™ Ring-Vac™ as well as the flow rate and velocity. When supplying the material to be conveyed, make sure that the container with the material can “breathe”. Atmospheric air needs to be able to pass around the material to be conveyed in order for it to be picked up by the vacuum action. If the material is packed too tightly, the piping that is used to draw in the material can have holes or slots machined into it (smaller than the material conveyed) to create a suction effect to help pick up the material. If the material is still too tightly packed, it needs to be loosened before being conveyed. The light weight X-Stream™ Ring-Vac™ can address many of those hard to convey applications for which the standard units may not be strong enough such a heavy trim and heavier materials, or when longer distances need to be conveyed. Compressed air enters at point (A) into a annular plenum chamber and injected into the throat of the unit though directed nozzles. These jets of compressed air create a vacuum at the inlet (C) which draws in material and accelerates it through the unit and out at (D) conveying the material over a great vertical or horizontal distance. Air Conveyors – Heavy Duty X-Stream™ Ring-Vac™ Pneumatic Conveying Systems are available in hard anodized aluminum to handle abrasive materials and boosted in performance over standard Ring Vacs to convey over much greater distances both vertically and horizontally. 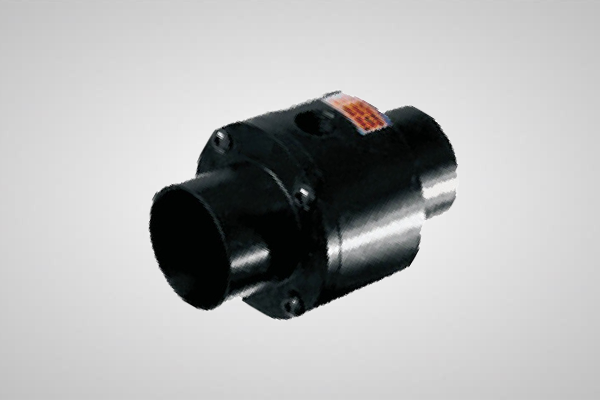 * BSP adaptors supplied upon request free of charge.